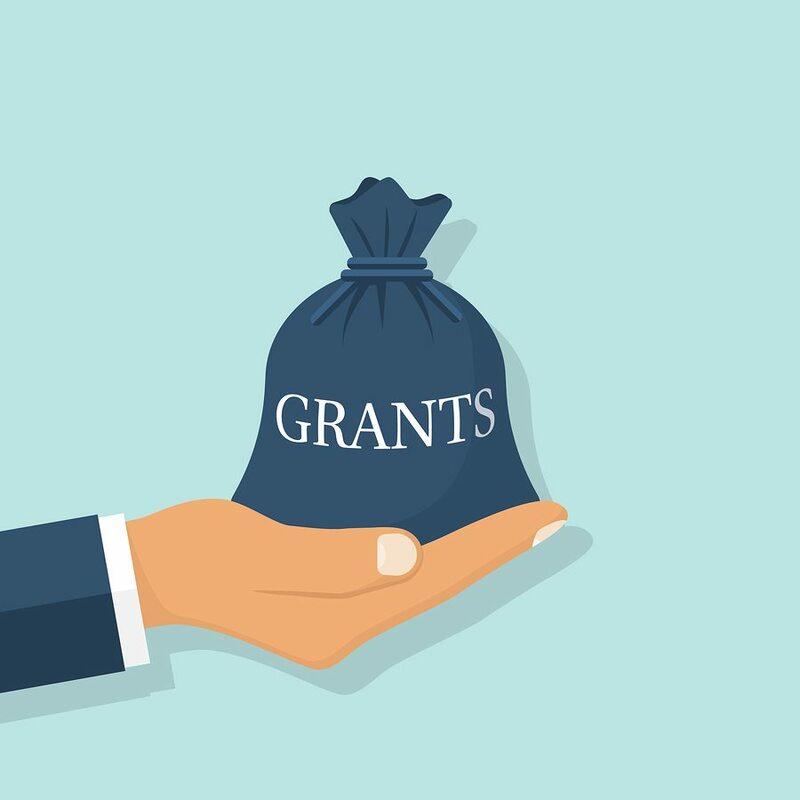 We hear a lot about grants today. When young people are preparing to go to college they will check into scholarships that are available based on their track record, their grades and oftentimes they’ll receive these grants. Plus the federal government and the state many times will give dollar grants in different areas of education. We hear a lot about federal grants. The federal government has a grant for almost everything today. Many times our highways are blacktopped or repaved with cement as a result of the federal government giving the state a grant for the different highway systems. And in almost all of the Bills that are passed by the House of Representatives and the Senate, there are all kinds of grants that are stuck into the fine print that pays off, you might say, the big city mayors. All of these grants are not just outright gifts with no strings attached. In fact, almost every one of them is conditional. There are conditions attached to each grant. So Peter emphatically states that God has raised up Jesus to be a prince, a ruler and a savior, to give repentance to Israel and remission of sins. Turn your Bibles over to Acts 11:18. Here in the context we have the record of the conversion of the Gentile named Cornelius. Peter had received a vision in which he was instructed to go to the house of Cornelius and to tell him words whereby he and his household might be saved. He did that, they were baptized into Jesus Christ, and they were added to the church just like the Jews. Peter and those who were traveling with him spent the night with these Gentile people and the next day they got up and went back to the area where they had been. Later they were at Jerusalem and they were called and questioned by the Jewish Christians to give an account as to why they were consorting with Gentile people. The fact that God has also granted repentance to the Gentiles is an implication that he had already granted repentance to Israel and we find that is the case back in Acts 5:32. As far as I know those are the only scriptures in the New Testament that have anything to say about God granting repentance. But I think we can safely say that God grants repentance to Jewish people (Acts 5:32), and God grants repentance to Gentile people (Acts 11:18), and God grants repentance to any who are willing to overcome their sins who have been taken captive or ensnared by the devil to do his will. HOW DOES GOD GIVE REPENTANCE? Now the question we raise is, how does God give us repentance, Jew, Gentile and erring Christian? Is it unconditional? Is it a miraculous gift? Is it something that is done for us and we have nothing to do ourselves? Let’s find out. I believe that God gives repentance to Jews and Gentiles and to erring Christians in at least two ways. First, he gives us or grants us repentance by giving us, granting us, the opportunity to repent. The Bible says in Hebrews 2 that man is made a little lower than the angels and that God has crowned him with glory and honor. Angels, therefore, are a higher order of beings than man. And we have found out in Bible studies that angels, at least some of them, sinned. But as far as we know, the Bible does not indicate anywhere that angels have an opportunity to repent of their sins. In fact, Peter says the angels that sinned God has cast down to hell or a dark dungeon and reserved them in everlasting chains until the Day of Judgment. Why is it that God does not grant unto angels the opportunity to repent? I don’t know. He didn’t tell us. Maybe it’s because they are a higher order of beings than we are. Maybe they are superior in many ways to us. He doesn’t really tell us. It would be idle to conjecture. All I know is when they sinned, they didn’t have the opportunity to repent; they were put in jail to wait the day of judgment and the fate that comes upon those angels that rebelled against God Almighty and left their first estate. But for man that’s not the case. God gives us the opportunity to repent and I suggest to you that’s at least one-way God grants repentance to Jews, Gentiles and erring Christians. In the second place, God gives, grants, repentance to Jews, Gentiles and erring Christians in that He has created within all of us the proper motives to bring about repentance when we are in sin. What are some of those motives? The first is fear. In the book of Jonah God told Jonah to “Go down to Nineveh and preach the preaching I bid you.” Jonah tried to run away from God. Of course, you can’t run away from God. You can run away from the responsibility that God gives you, but you can’t run away from God. He tried. A great storm came upon the ocean, he was thrown overboard, swallowed by a whale, vomited out, and finally he was ready to go and do what he should have done in the first place. He went to that great city of Nineveh and he started crying out against their wickedness, “You have forty days and Nineveh shall be overthrown.” The Bible says that the people put on sackcloth and sat down in ashes and even the king on his throne, the great king of the Nineveh, made a decree and he said, “Let neither man nor beast eat anything, drink anything, but put on sackcloth and ashes and that every man will turn away from their wicked deeds and the evil that he is doing.” So when Jonah went out and preached his message that in forty days Nineveh would be overthrown unless they repented, what were the results? The Bible says the people believed in God. That’s not repentance—that’s faith. They believed in God and His message proclaimed by Jonah and reinforced by the king. And then the Bible says that they turned every man from the evil works, which they had been doing. That’s repentance. They changed the conduct of their life. That’s the fruit of repentance. But they turned and that’s repentance. Why did they turn? Well I suggest to you that at least one reason they turned was the fear of their great city being overthrown and the fear of punishment. That is a proper motive to bring about repentance. We should respect God. We should fear the eternal punishment of Hell. We should fear the consequences of our sin. Fear of punishment is a proper motive and one way that God grants us repentance. Therefore you have no excuse, O man, every one of you who judges. For in passing judgment on another you condemn yourself, because you, the judge, practice the very same things. 2 We know that the judgment of God rightly falls on those who practice such things. 3 Do you suppose, O man—you who judge those who practice such things and yet do them yourself—that you will escape the judgment of God? 4 Or do you presume on the riches of his kindness and forbearance and patience, not knowing that God’s kindness is meant to lead you to repentance? Have you ever thought about how God is so good to all of us, how good He has been to us just this past week? Look around the world and it’s almost unbelievable that there are people living like they did thousands of years ago, no pure water to drink, and not enough food to satisfy the hunger of their bellies, rampant with disease and death and the pale rider stalks them at every step. You look at other countries and they’re torn by civil war, political strife, and assassinations. They do not have good-paying jobs. They live in tents and huts and squalor and then you look at America. How good God has been to all of us. How could we rebel against God? How could we not serve Him? How could we not love Him and keep His commandments and do what He says? He has been so good to us. If we haven’t thanked our God every day this week for His good gifts that He gives to us every day, we ought to get down on our knees at once and do so. Furthermore, if we’re not living right, if we’re not faithful in the Lord’s house, the church, if we’re not trying to raise our children in the right way, if we’re not trying to be a good husband and or a good wife, a good employee, we need to look at the goodness of God and say that we are ashamed of the way we have been behaving. I’m going to repent of my sins. The goodness of God demands that I repent of my sins. I want to because God is so good to me. The third motive by which God gives us repentance is the hope of reward. We all like to be rewarded for good work and service. In fact, many studies have suggested that employees solicit and desire and want to be applauded and praised and commended for the good work that they do even more than financial remuneration. The same thing is true in God’s scheme of things. He knows how to touch the motives in the hearts of men. On the Day of Pentecost there was the house of Israel, their hands were dripping with the blood of Jesus Christ on them, figuratively speaking. They had cried out for His death just fifty days previous, “Let His blood be upon us and our children.” They clamored for His death, they spat upon Him, and they heaped and hurled insults against Him as He hung there on the cross of Calvary. But Peter convicted them with a sermon about the death, burial and resurrection of Jesus Christ, the divine Son of God. The Bible says they were pricked in their hearts. They cried out unto Peter and the rest of the apostles, “Men and brethren, what shall we do?” Yes, there is something that man must do in order to escape the condemnation of his sin. What was the reply of the great apostle? Then Peter said to them, “Repent, and let every one of you be baptized in the name of Jesus Christ for the remission of sins; and you shall receive the gift of the Holy Spirit. 39 For the promise is to you and to your children, and to all who are afar off, as many as the Lord our God will call.”40 And with many other words he testified and exhorted them, saying, “Be saved from this perverse generation.” 41 Then those who gladly received his word were baptized; and that day about three thousand souls were added to them. What’s the motive here? It is the hope of reward. What is the reward they would receive when they would do what He commanded them to do, to repent and be baptized? What is that reward? The reward is the forgiveness of sins and the promise of the gift of the Holy Spirit. And that motive was able to induce three thousand of them to do what they were commanded. The Bible says they were baptized and the Lord added to His church daily such as were being saved. God grants repentance by giving us the hope of reward. Finally, the joy of angels should lead men to repentance. In Luke 15, we actually have three parables that make up one parable. It’s the story about a lost sheep, one out of a hundred and Jesus said, “Would not a man leave the ninety-nine and go find the one lost sheep?” and then He brings it back. There is great rejoicing over that lost sheep that was found and brought back to the safety and security of the flock. One out of a hundred equals one percent. Then he talks about a woman who had ten coins and she loses one of those ten coins and she doesn’t go to sleep, she doesn’t sit down, she doesn’t do anything, but get up and take the broom and sweep the floor, look in the closets, check the dresser drawers, she does everything until she finds that one lost coin. One out of ten equals ten percent. Next he talks about a man who had two boys and he lost one of them. But actually when you read the parable, I think he lost both of them. He lost one hundred percent. He lost one who left the home and went to a far country to live a riotous life, but he lost the one at home, because he had a bad attitude. We can lose people in the church today who just leave, go back into the world and rebel against God. But sometimes there are people still in God’s family, who attend the worship, who are lost because they have a bad attitude. But the reason Jesus mentioned these parables were to show the joy of repentance in heaven. “There’s more joy in heaven over one sinner that repents than over ninety and nine just persons who need no repentance.” One reason we ought to repent when we are in sin is because we’ll make our family happy, we’ll make our mates happy, our children will be happy, God will be happy and it will cause the angels in heaven to rejoice. They’ll have a smile on their face. They will be rejoicing when we repent of our sins and turn to God, because that’s what repentance is. Repentance is the most difficult thing in the world to get people to do. 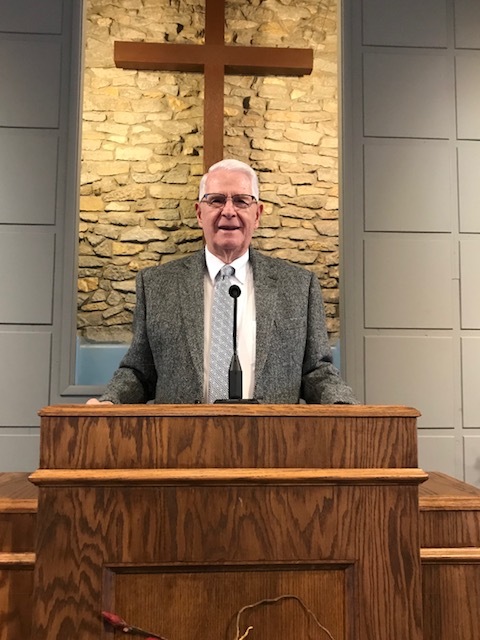 You can present the facts, the evidence, for the life, death, burial and resurrection of Jesus Christ, the establishment of the church, and once you present all of this evidence, a person that has an honest heart, an open mind and is intelligent can examine the evidence and see that the propositions that are stated in the New Testament are true. The evidence demands these propositions to be accepted as truth and people believe based on evidence. And if you can get a person to examine the evidence and to believe in God and His word, it’s not too hard to get that person to be baptized if they will believe and repent. 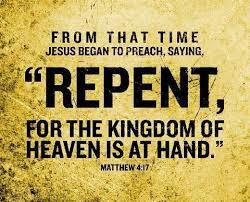 But the difficult part of the gospel scheme of redemption is repentance. Why do I know that’s the case? Bringing about repentance is very difficult because the burden of almost every speech, every discourse, every sermon that was preached by Jesus, by the twelve, by the seventy, by John the Baptist, and by the apostles of Jesus Christ, was repentance. I don’t think it would be amiss if a preacher got up in the pulpit and preached every week on repentance until people started repenting. They began at Jerusalem, a reference to which I have already made in Acts 2:38-39 and from that day forward, everywhere they went their message was that men ought to repent. “The Lord is not slow in keeping his promise, as some understand slowness. He is patient with you, not wanting anyone to perish, but everyone to come to repentance” (2 Peter 3:9 NIV). “Men of Athens! I see that in every way you are very religious. I even found an altar with this inscription: TO AN UNKNOWN GOD. Now what you worship as something unknown I am going to proclaim to you. And now we see the wickedness, the evil, the sin, the rebellion that’s in our world and we wonder why God doesn’t bring the curtain down on this drama. Why doesn’t He call a halt to the things that are going on in the world and just bring us all to the judgment seat right now? It makes you wonder why, but then we read that God doesn’t really want anyone to perish and I suppose that’s why He lets this go on. But it won’t go on forever. There is an end to the grace of God and to His longsuffering. When the wickedness of Sodom and Gomorrah could not be tolerated anymore, Abraham intervened. He was bold and went before God and asked if He would destroy these people if he could find ten righteous people and God said, “I will not destroy it even for ten’s sake,” but He destroyed those cities. What does that tell us about the makeup of those ancient cities? Abraham couldn’t find ten righteous people. Time goes on because I think there are more than ten righteous people. Thanks for checking out the biblical teaching in articles and sermons on Preach the Word at Heartland. You are to be greatly commended for your interest in the word of God (2 Timothy 4:14-17).